LARGO, Fla. — Jan. 4, 2018 — Just Add Power (J+P), the leader in Ultra HD over IP, is bringing its host of switching and scaling solutions to ISE 2018, Feb 6-9 at the RAI in Amsterdam. At the show, J+P will demonstrate its award-winning 4K network video tiler; the 3G+4+ Tiling Transmitter; the Switch Please web application, which allows for matrix switching of J+P devices from any web browser; the Plug-Play-Present firmware; and a new rackmountable version of its popular 3G transmitter. At ISE 2018, J+P will demonstrate its award-winning 3G+4+ Tiling Transmitter. This incredibly flexible device can be applied to any size residential installation requiring multiview functionality, providing video support for resolutions up to full 4K and HDR compatibility. Added to the J+P Ultra HD over IP matrix switching system, it enables users to simultaneously watch four video sources in multiple formats, including single-screen, video wall, or tiled video. Once tiled, the video feed can be distributed to an unlimited number of screens, making it the ideal solution for commercial spaces. It gives integrators the power to create up to four customizable windows with easy presets, picture in picture or picture over picture, and adjust transparency of images for multi-layered, dynamic display. Multiple tiling transmitters can be stacked together to add more sources and allow an infinite number of windows within windows. Also at the show, J+P will demonstrate its Switch Please web application. Optimized for both desktop and mobile, the application allows for matrix switching of all J+P 2G and 3G devices from any web browser. Easy to set up and free of charge, the system is dynamically generated based on the switch configuration. Once installed, Switch Please gives installers and end-users the ability to use Image Pull for live video preview, custom name their sources and displays, and show/hide displays and sources on the app interface. Additionally, J+P will showcase its Plug-Play-Present firmware that adds logic control to all J+P transmitters. The Plug-Play-Present makes connecting and switching sources in a large matrix intuitive and reliable. Users simply connect any source to any HDMI or VGA transmitter and the transmitter does all the work. 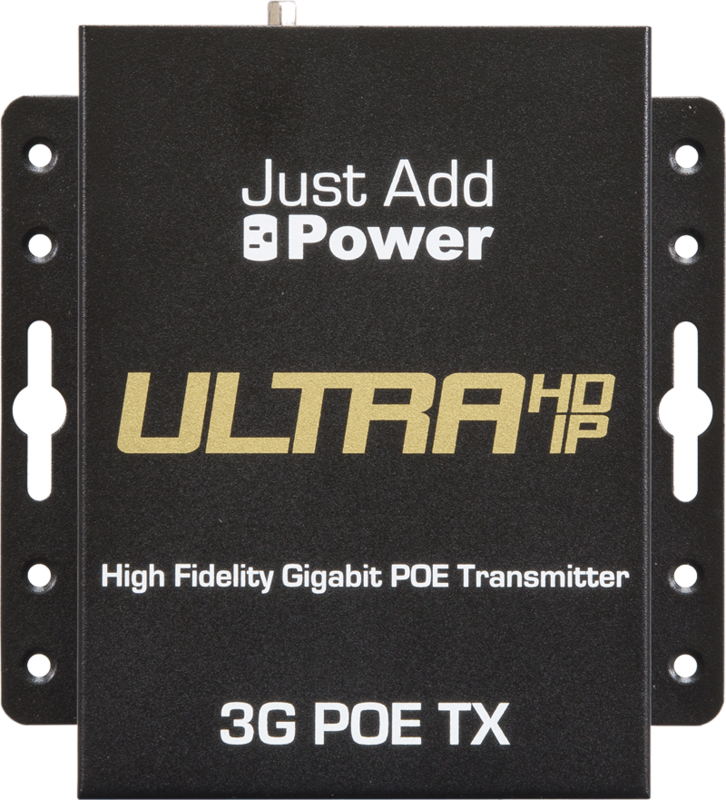 Finally, J+P will demonstrate the company’s award-winning 3G Ultra HD over IP platform, including a new addition the product family, a rackmount transmitter that has four inputs and a 1RU form factor. The 3G PoE family is designed for any size of 4K HDMI distribution and HDMI matrixing application. 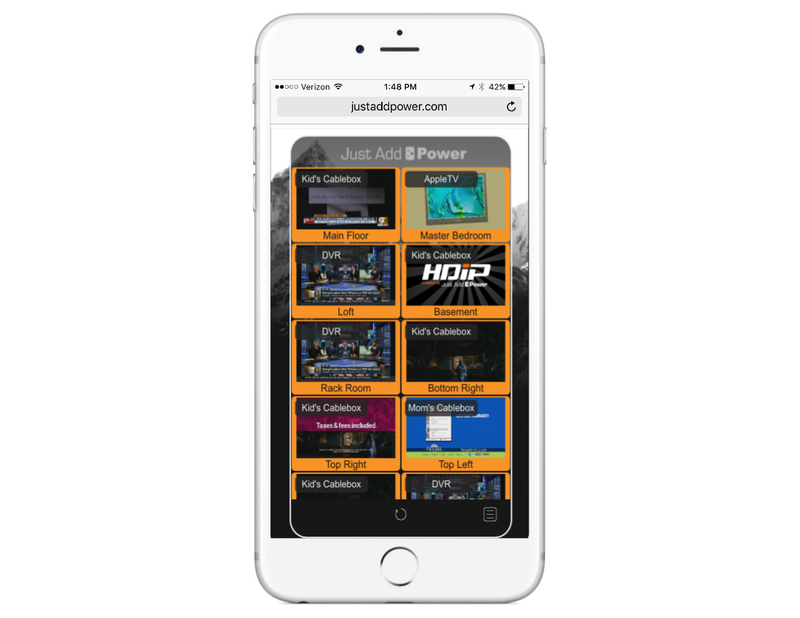 By allowing integrators to mix and match components in a system, the solutions make it easier to manage hardware budgets on projects with 4K HDMI and/or HDR distribution requirements without sacrificing enhanced functionality, such as audio extraction, downmix from Dolby® 5.1, and CEC control in zones. For more information, visit www.justaddpower.com.